We have good news. Earlier this week, on a 51-46 vote, the Senate passed important anti-torture legislation that would prohibit all U.S. intelligence agencies, including the CIA, from engaging in torture or other so-called “harsh” interrogation techniques. This bill has already passed the House of Representatives and now it only needs the President’s signature to become law. This is an enormous victory, and it is in part due to your efforts and the efforts of NRCAT. By emailing and calling your Senators, you made it clear to them that the American people expect Congress to take a clear stand against torture. Unfortunately, however, the President has already said that he plans to veto the bill rather than sign it into law. If he does so, he will repudiate the will of both houses of Congress and of the American people. Worse, he will keep us an immoral and destructive path. We ask you to call the White House at 202-456-1111, or to email the President at comments@whitehouse.gov to express your support for H.R. 2082 (the Intelligence Authorization bill). Tell the President that we cannot win the war on terror by abandoning the values that made us great, and that he can help return us to those values by signing H.R. 2082. You have received this message because you endorsed the “Torture is a Moral Issue” statement of the National Religious Campaign Against Torture OR you signed up to receive more information from NRCAT. If you no longer wish to receive emails from us, please click here to unsubscribe from this mailing list. 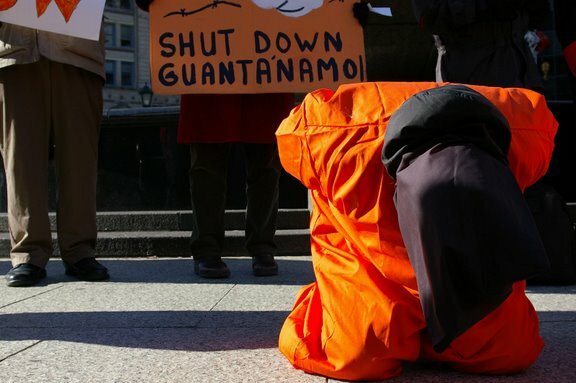 This week, a CIA black sites torture survivor, Mohamed Farag Ahmad Bashmilah, spoke out through a lengthy report by the Center for Human Rights and Global Justice at NYU Law School and in an interview with Salon.com. His account has been filed in US federal court by the ACLU in a suit against rendition flight runners Jeppesen Dataplan Inc., a subsidiary of Boeing. The insight Mr. Bashmilah gives into his own torture and the workings of the CIA torture program is horrifying in fact and unprecedented in scope, yet it is largely being ignored by the media. Often the most traumatic moments for a torture survivors come when they feel almost nobody believes them or care to listen. We believe you Mr. Bashmilah, and we care. Will no one listen to Bashmilah? Michael Mukasey, the man who wants to be our next attorney general, refuses to say that waterboarding is torture. Waterboarding dates from the time of the Spanish Inquisition. It is an ancient torture technique of repeated partial drowning. Water is forced into the prisoner’s lungs until he or she nears the point of death by drowning. The prisoners are then pulled back from the brink — usually. Waterboarding is torture, and torture is unconstitutional. All four of the top lawyers in the military unequivocally agree (see links at the bottom). We need your help. Please take 30 seconds today to call your senators today and tell them to vote “NO” on Mukasey’s confirmation as attorney general [see senate phone numbers below]. The vote is on Tuesday, so please call your senators now! 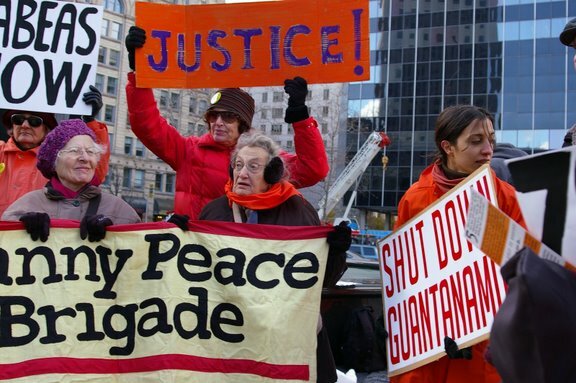 Without exaggeration, this is the best chance in years to take a stand against torture. Senators from the key states of New York, California, Wisconsin, and Maryland are undecided. The stakes are high — the Senate can stop Mukasey’s nomination. But if the Senate fails to act, it may well do the opposite, tacitly endorsing the use of waterboarding and other forms of torture. At Mukasey’s confirmation hearing, Sen. Richard Durbin, (D-IL), explained to Mukasey that the United States has prosecuted waterboarding as a war crime for more than a century. But Mukasey wouldn’t budge. This country cannot stand for yet another attorney general who doesn’t know right from wrong, who can’t state clearly what the laws and history of this country already make clear, who will not renounce torture. Just two weeks ago, Mukasey’s confirmation looked like a sure thing. But his refusal to say whether waterboarding is torture has cast a dark shadow on his prospects. This turnaround was possible thanks to the pressure of voters like you. Since then, senators from both parties have called on Mukasey to clarify his position, but he has clung to an evasive answer. In a written response, Mukasey dismissed the controversy as “academic” and with “scant practical effect or value.” [For more information about waterboarding, its reported use by the U.S., and Mukasey’s letter on it, please see the links at the end of this e-mail]. The Senate Judiciary Committee is scheduled to vote on sending Mukasey’s nomination to the full Senate this Tuesday, Nov. 6. But if the Committee votes “NO” on Mukasey, his nomination to the post of attorney general will likely fail. Please take 30 seconds today to call your senators and tell them to vote “NO” on Mukasey’s confirmation. Thank you for your help and for taking a stand against torture. 2. My name is ______________________. 3. I am a [optional: affiliation/occupation] and a constituent of Senator ____________. 4. I live at [your full address with ZIP — this information is very important to show that you are a voter—they do not use your address for anything else or pass it on ]. 5. I’m calling to urge the senator to vote “NO” on Michael Mukasey’s confirmation as attorney general because I’m concerned about the issue of torture. 6. Waterboarding is torture, and it is a crime. If Mr. Mukasey can’t say that, he shouldn’t be attorney general. 7. The senator must not endorse Mr. Mukasey’s views on waterboarding by supporting his confirmation. 8. Thank you for your time. GET THIS URGENT ACTION IN DOC.